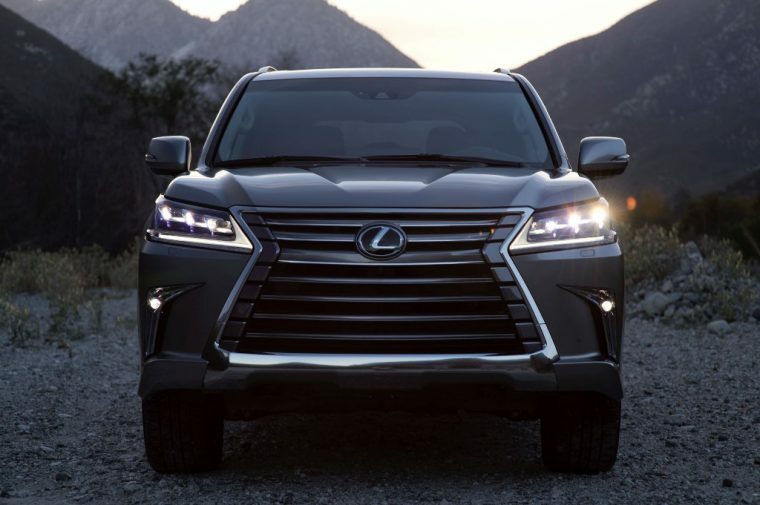 The 2018 Lexus LX is the largest SUV offered by the luxury automaker, powered by a huge V8 engine and filled with a multitude of premium features. It is only offered in two forms: the conventional, eight-passenger LX, and the five-passenger LX Two-Row. What’s New for the 2018 Lexus LX? For 2018, the Lexus LX is just about the same as previous model years, except for the addition of a two-row version that eliminates the back-most row of seats for better cargo space. 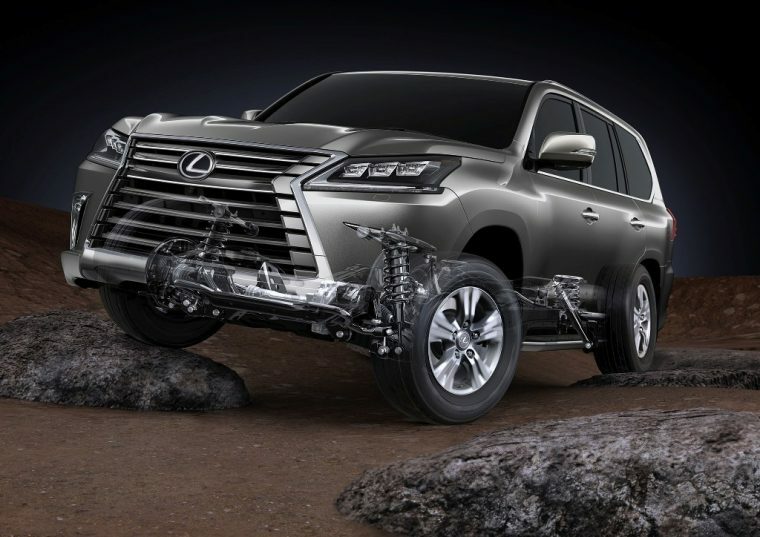 The 2018 Lexus LX is the brand’s largest SUV, and is designed to cover driver needs on- and off-road using big 20- or 21-inch wheels. Style-wise, the LX prominently features the brand’s spindle grille, although the body style is boxier than in the smaller vehicles to offer the maximum interior space. 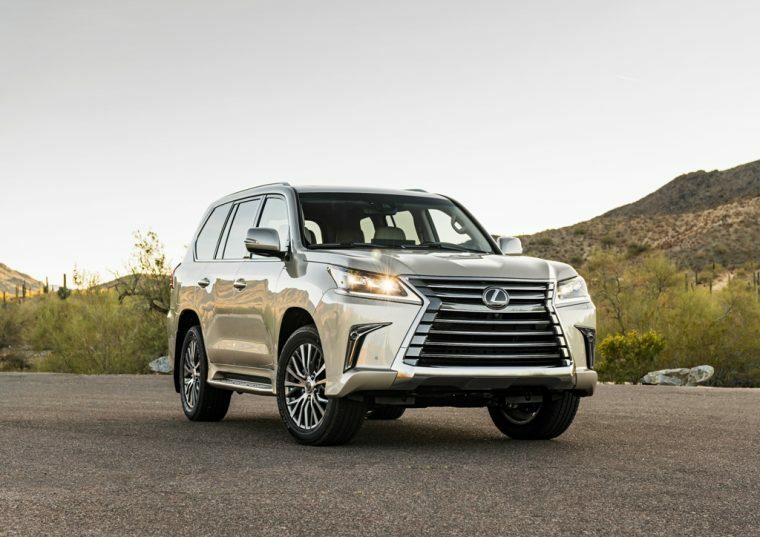 The 2018 Lexus LX comes with a single powertrain option: a 5.7-liter V8 engine, putting out 383 horsepower and 403 lb-ft of torque, giving the full-size SUV a 7,000-pound maximum towing capacity and a 0-60 mph time of just 7.3 seconds. Predictably, fuel efficiency is not the 2018 Lexus LX’s strong suit. It delivers 13 mpg in the city and 18 mpg on the highway, for a combined 15 mpg. 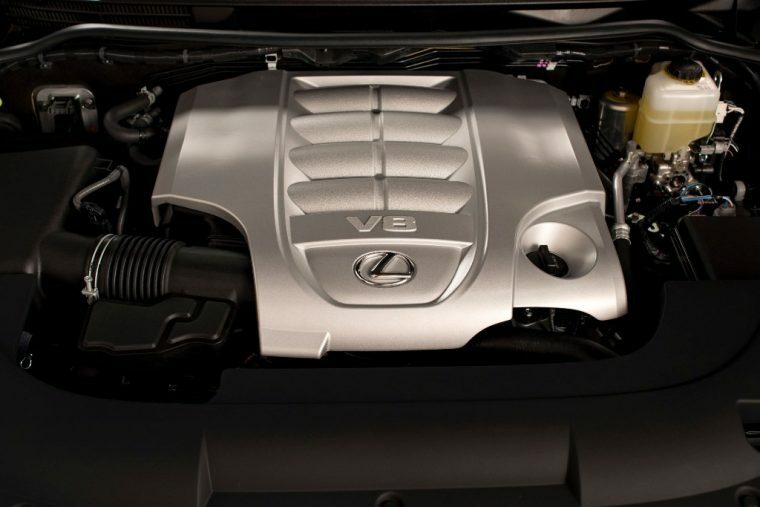 To compensate, the LX features a huge 24.6-gallon fuel tank, giving the SUV a total range of about 370 miles in combined driving. 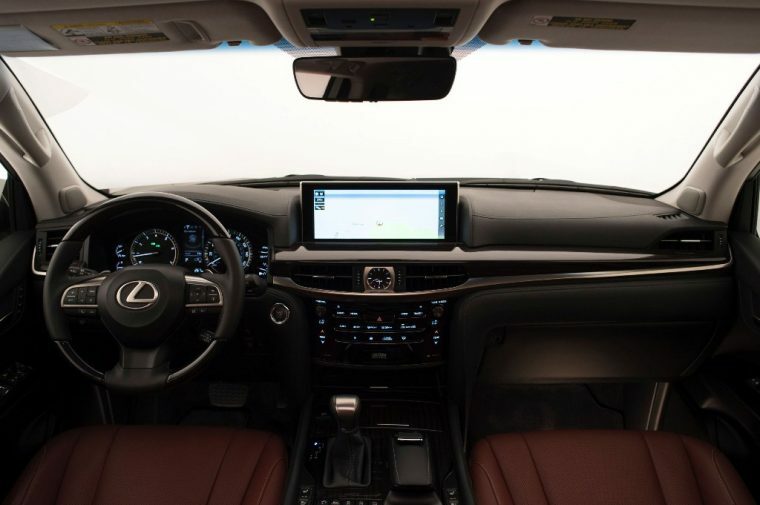 The Lexus LX benefits from Lexus’ interior luxuries, and so predictably is filled with premium features for the up to eight passengers (although this goes to five on the two-row version). A few highlights include a quad-zone climate control system, including a smog sensor, and a wide variety of infotainment features. Optional features are even more interesting (although not that numerous—most luxury features on the LX website are standard), including a center-console cool box and perforated leather interior trim. 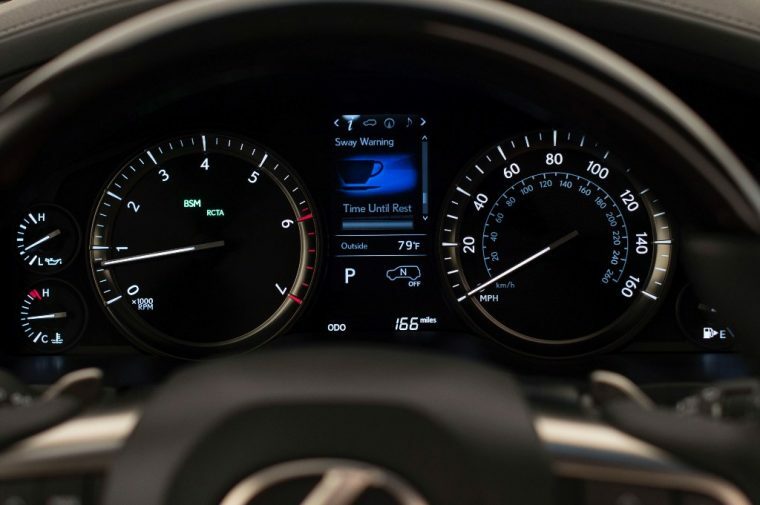 The Lexus LX comes standard with the brand’s Lexus Safety System+, which includes a pre-collision system with pedestrian detection, Lane Departure Alert, All-Speed Dynamic Radar Cruise Control, and Intelligent High-Beam Headlamps. The LX also offers systems to enhance its off-road maneuverability like Crawl Control, which maintains a steady, slow pace over challenging terrain. Then, the LX comes with a number of features to enhance driver vision, like a Panoramic View monitor, which shows the surroundings on all sides of the LX, and Intuitive Parking Assist, which use sound a visible displays to warn the driver of potential hazards while parking.